It is easy to find oneself overwhelmed by the necessities of our current era. Traffic, constant streams of communication, and a nonstop buzz of activity can make the world seem like it is closing in. It doesn’t have to feel that way, of course, especially if you are a Northeast Ohio resident. 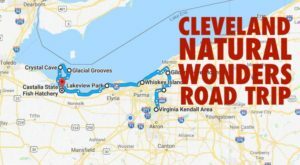 There are many lovely places that provide a much-needed dose of serenity, from the Cleveland Metroparks to scenic roads that twist through the surrounding countryside. 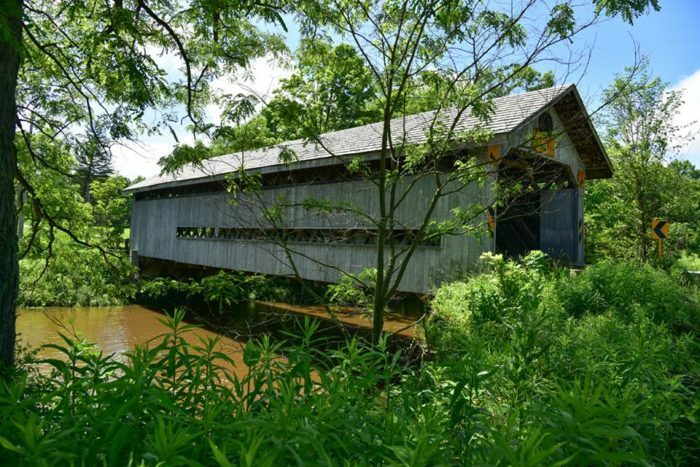 There are also plenty of lovely covered bridges around Northeast Ohio, and these lovely places are close enough to Cleveland that they are well worth visiting when you’re in need of peace and simplicity. Cuyahoga County is filled with scenic spaces, but Olmsted Falls maintains a certain sort of peace about it. 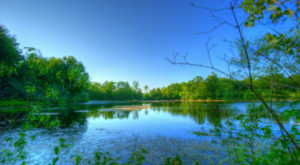 This lovely community is interrupted by the flow of Plum Creek, and this path over Main Street stretches 92 feet to connect the shores of the creek bed. Captain Charles A. Harding, the individual whose legacy this bridge celebrates, was killed in action while serving in WWII. 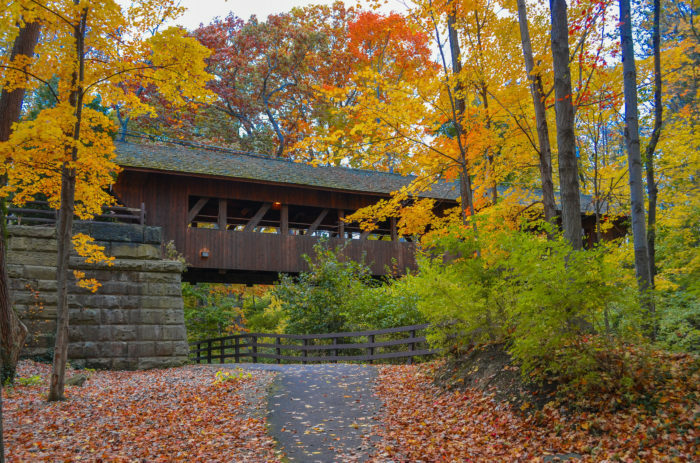 Surrounded by the beauty of the Cuyahoga Valley National Park is a covered bridge that's as vibrant as the adjacent community. 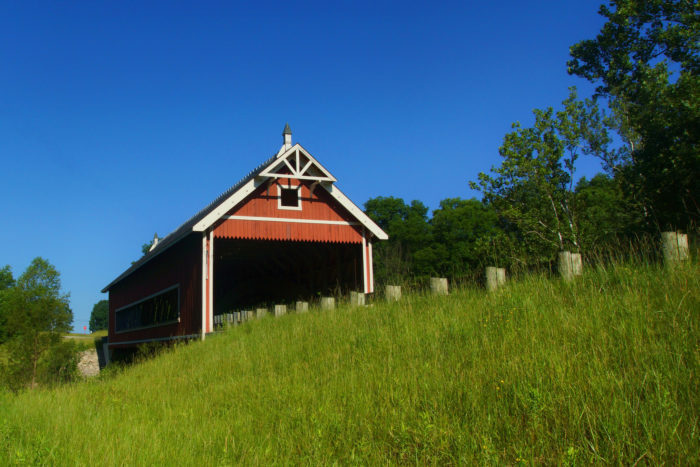 Today, this structure is the only remaining covered bridge in Summit County. 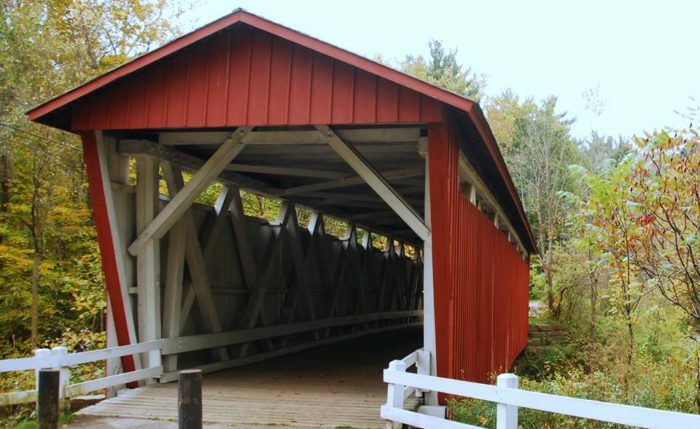 Bridges like this were once common in Ohio, as they were designed to protect the wooden components of the bridge from the elements, infusing longevity into an otherwise vulnerable structure. Ashtabula County is hailed as the state's bridge capital, and it's no secret why. This scenic county boasts 19 structures alone, and each one is unique in its own way. This particular structure is a lattice bridge, meaning it contains an intricate visual lattice of wooden structural elements. This old structure dates back to 1873 but has been renovated over the years to ensure its survival. 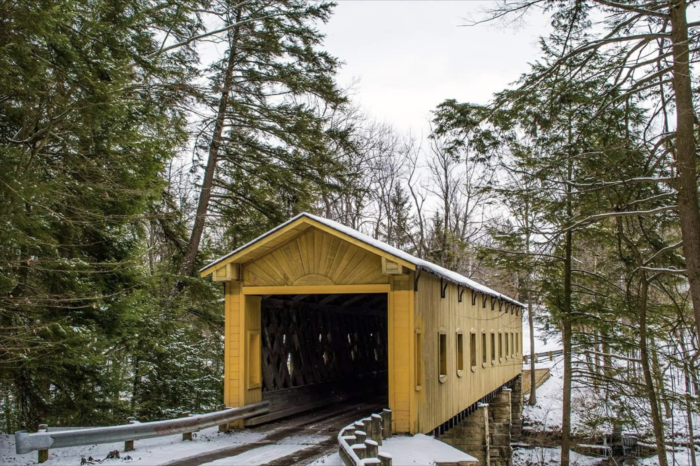 This stunner in the Geauga Park District was erected fairly recently and is one of the most striking bridges in the entire region. It was installed in the summer of 2013 and its unusual design has delighted visitors ever since. 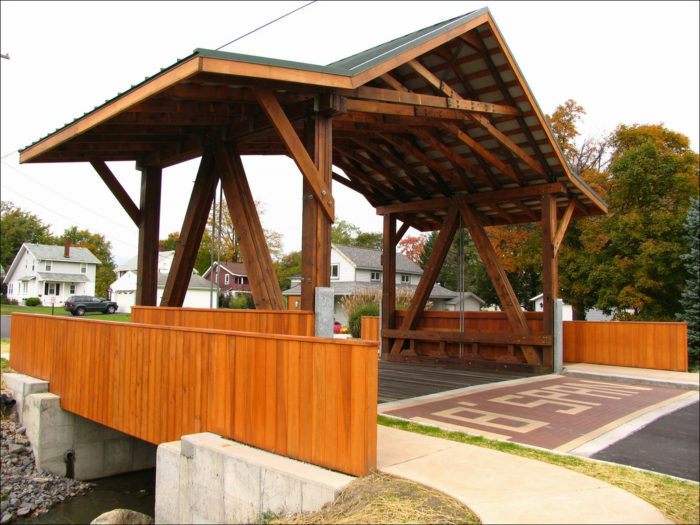 This bridge helps connect four local parks and enhances safety for travelers in horse-drawn vehicles. Also along Maple Highlands Trail is a slightly older (but still endlessly charming) structure that's worthy of a visit, no matter the season. 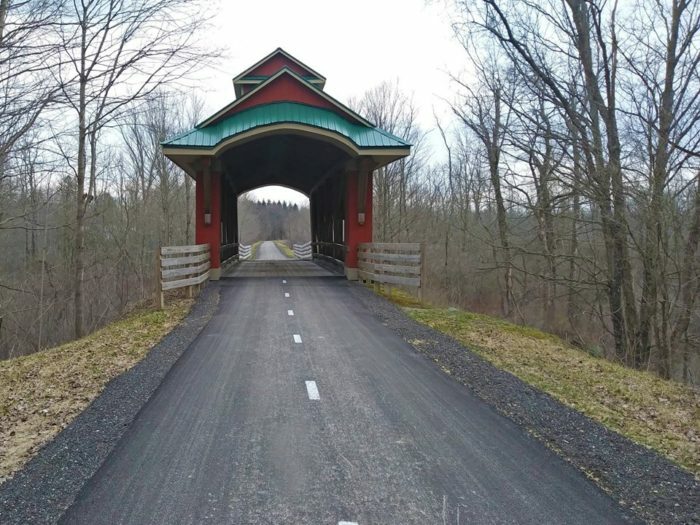 Built in 2004, this 49-foot-long structure is located along an abandoned railroad right-of-way and is surrounded by incomparable beauty. At 18 feet in length, this bridge may seem tiny to first-time visitors. 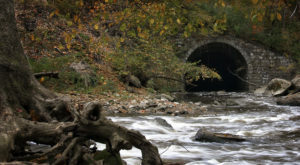 It is actually often referred to as the shortest covered bridge in the nation, and it was conceived to cover a former concrete culvert in desperate need of repair. West Liberty Covered Bridge was dedicated in 2011. 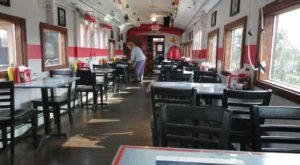 After visiting the smallest bridge in the area, it is only appropriate to follow it up with a visit to one of the area's longest. 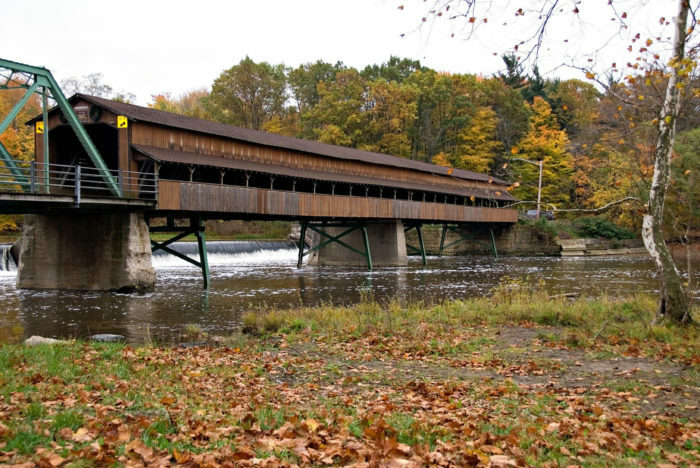 The Harpersfield Covered Bridge stretches across the Grand River in Harpersfield Township. 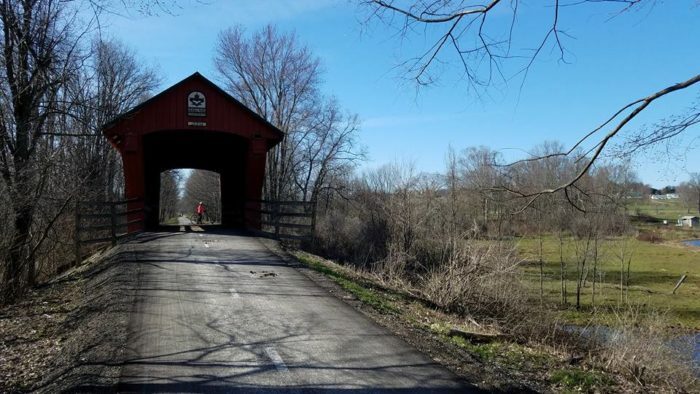 At 228 feet long, this pretty place ranks as the third longest covered bridge in Ohio. Can you believe this impressive structure dates back to 1868? This sunshiny bridge offers an interesting contrast to many similarly dated structures in the area. 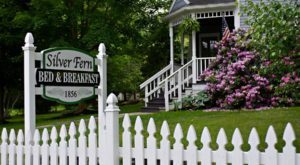 It was built in 1867, and it stretches for 120 very yellow feet over Phelps Creek. The sandstone features below the bridge were quarried, offering an interesting glimpse back in time to each visitor. This charming bridge looks like something out of a gingerbread village, particularly in the winter months. It was built in 1998 and was inspired by Victorian architecture, though it manages to feel more spacious than traditional bridges of that era. 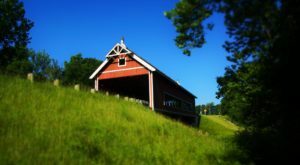 Something about covered bridges charms us beyond words. Their elegant designs have a certain sort of majesty about them, particularly when they’re surrounded by a landscape as lovely as Northeast Ohio’s. Which bridge is your favorite? 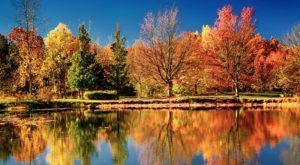 Are you enchanted by local scenery? You’ll adore these incredible overlooks near Cleveland.